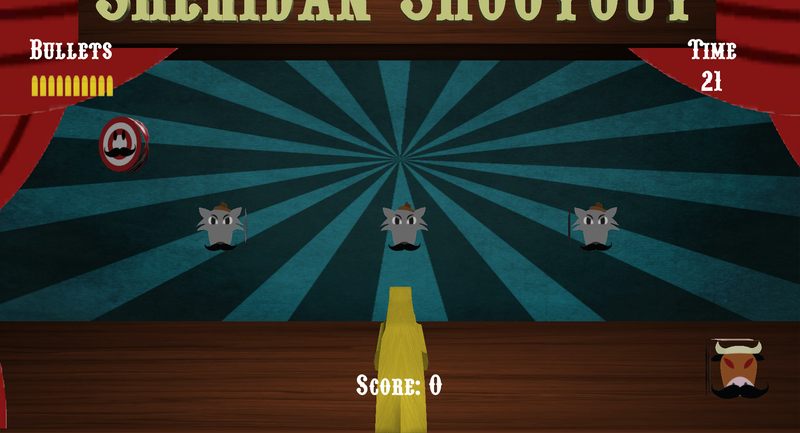 I just want to share a link to a shooting gallery game I made for my Game Engine class last month! You will need to download and extract the contents of the zip file, then just double click on Shootout.exe to play :). I would suggest to play the game on 1600 x 900, but you can also play it on 1200 x 700. All textures with mustaches were created by me. While I found the music and other textures in the web!